At least four women have won seats in Saudi Arabia's municipal polls, the country's first-ever elections open to female voters and candidates, local reports said. The female candidates were elected to three councils - two in Ihsaa governorate and one each in Tobouk and Mecca, as votes were still being counted on Sunday. Salma bint Hizab al-Oteibi was elected to the council of Madrakah, a region in Mecca, the official SPA news agency reported, citing election commission president Osama al-Bar. Saturday's municipal poll, which was hailed by many as historic, saw a turnout of about 25 percent, Al Jazeera's correspondent in Riyadh Saad al-Saadi reported. The fact that this was only the third time that Saudi citizens voted in an election meant that there was still little experience with the electoral process, Saadi said. The first local election was in 2005, and the second in 2011. Women were excluded in both. Women are banned from driving and must cover themselves in public in the conservative kingdom, which was the world's last country to give its women the right to vote. The official results in the latest election were expected to be announced on Monday. More than 900 women ran for seats. They were up against nearly 6,000 men competing for places on 284 councils whose powers are restricted to local affairs including responsibility for streets, public gardens and rubbish collection. 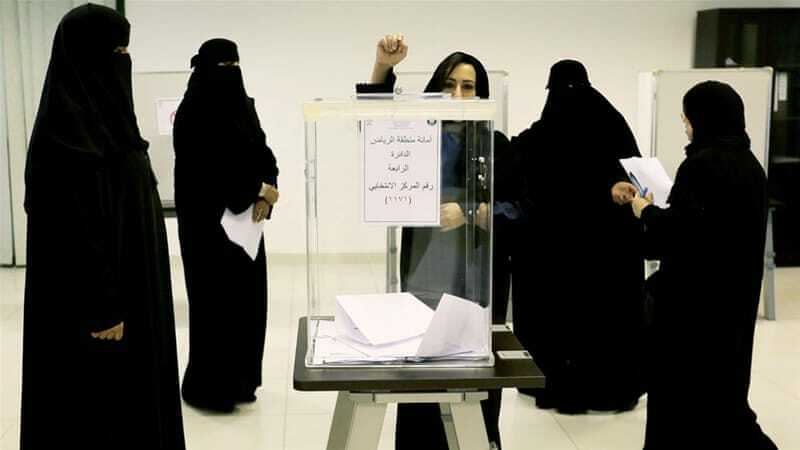 "I am happy for having voted for the first time in my life," a woman, who declined to give her name, told the DPA news agency after leaving a polling station in the capital Riyadh. Another female voter, Najla Harir, said: "I exercised my electoral right. We are optimistic about a bright future for women in our homeland." Hatoon al-Fassi, a Saudi womens' rights activist and writer, said in a tweet: "This is a new day. The day of the Saudi woman." Fahda al-Rwali, a female voter, explained why the election was significant for her. "As a woman, I need some services, some needs in my neighbourhood, like nurseries. I need social centres for youth and retirement, like this. So maybe the woman can concentrate more than the man on those needs." Al Jazeera's Jamal Elshayyal, reporting from Riyadh after the polls closed, described the elections as "momentous". "People here are hoping this is a significant step on the paths towards having a more inclusive society, not only for women but also for youth because the voting age has been reduced from 21 to 18," he said. A strict separation of the sexes in public facilities meant that female candidates could not directly meet the majority of voters - men - during their campaigns. Women also said voter registration had been hindered by bureaucratic obstacles, a lack of awareness of the process and its significance, and the fact that women could not drive themselves to sign up. One-third of council seats are appointed by the municipal affairs ministry, leaving women optimistic that they will be assigned some of them. Electioneering was low key, with rules preventing photographs of candidates applied to both men and women. But win or lose, the female contenders said they were already victorious. "We have legal controls, which forbid the publication of women's photos - during elections and in all our work. And if women's photos are not allowed, it would only be right, fair and equal to ban photos of all candidates", Jadie al-Qahtani, the head of the election's executive committee, said. "What's more important are the programmes of candidates from both sexes," he was quoted by the Okaz newspaper as saying. Speaking to Al Jazeera hours before polls opened, several women said they felt excited and positive that women were participating, with the hope that society as a whole would benefit from more diversity in public affairs leadership. "Women here are doctors and engineers - it's not like women aren't there," Lama al-Sulaiman, a candidate in Jeddah, told Al Jazeera. 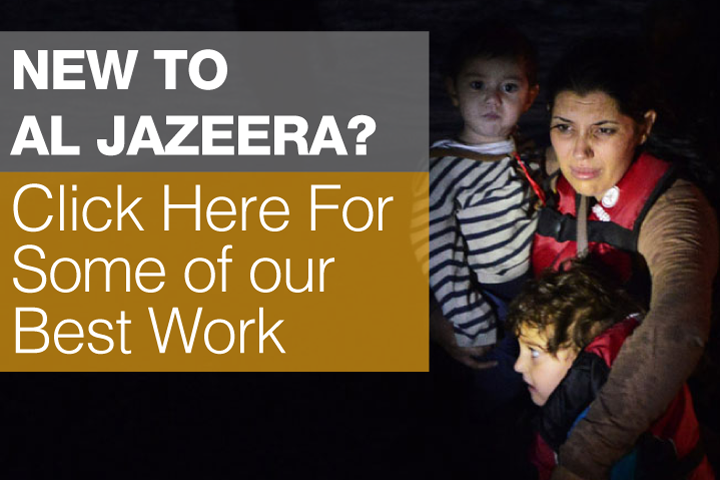 "The international media sometimes has narrow views; they only report the bad stories. We have them, we have weaknesses and every citizen goes through challenges - those shouldn't be belittled. "But to think that 50 percent of the population is going through those challenges is also ridiculous." Mona Abu Suliman, a media personality and consultant in Riyadh, said that even if women don't win many seats, just going through this process is important. "Recognising women's votes in decision-making is a step towards equality," she said. "There are people who see women voting and running in the election as another step towards Westernisation. They dislike seeing women in public-facing roles. But I don't think they are in the majority. The majority is either neutral or accepting."